Affixed by stunning Lake Michigan and decorated with inspiring architecture, Chicago is more than just a big city. Besides its striking downtown area, which includes some of the tallest buildings in the world, Chicago has a distinctive coastline, hundreds of vibrant parks and more than 200 unique neighborhoods. Chicago has developed a reputation as a must-visit destination for diners. In fact, Chicago is one of only three cities in the country to have its culinary chops rated by the prestigious Michelin Guide. With incredible shopping on The Magnificent Mile, world premiere performances in its famed Theater District and one of the country's most active nightlife scenes, this city is always buzzing. Chicago also vaunts more than 40 museums, five regional Tony Award-winning theaters and, no matter the season, there's always a professional sports team to cheer to victory. 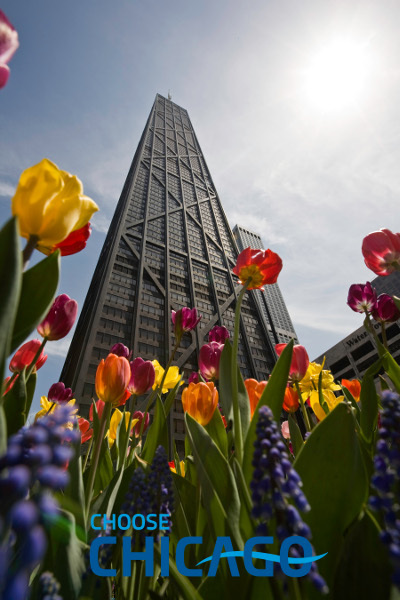 Millennium Park, deep dish pizza and Wrigley Field are all compelling enough reasons to visit Chicago, but the city's most endearing quality is its people. Chicago's neighborhoods represent more than 100 countries and it's through this diversity and profound city culture that we are able to develop the country's best restaurants, theaters and museums. Enjoy your visit to Chicago. It's this truly distinctive mix of incredible attractions and cultural allure that make Chicago one of the friendliest, most livable cities in America. Visit ChooseChicago.com for more information. Guests are encouraged to enroll as soon as possible since there are limited seats. Please check the desired tour option in the conference registration form (online or paper). Chicago Architecture Foundation-certified expert docents interpret the world-class architecture along the Chicago River. Marvel at Chicago's soaring towers while enjoying a 90-minute narrated river cruise. This tour spotlights more than 50 architecturally significant sites where you will discover a new perspective on the city.